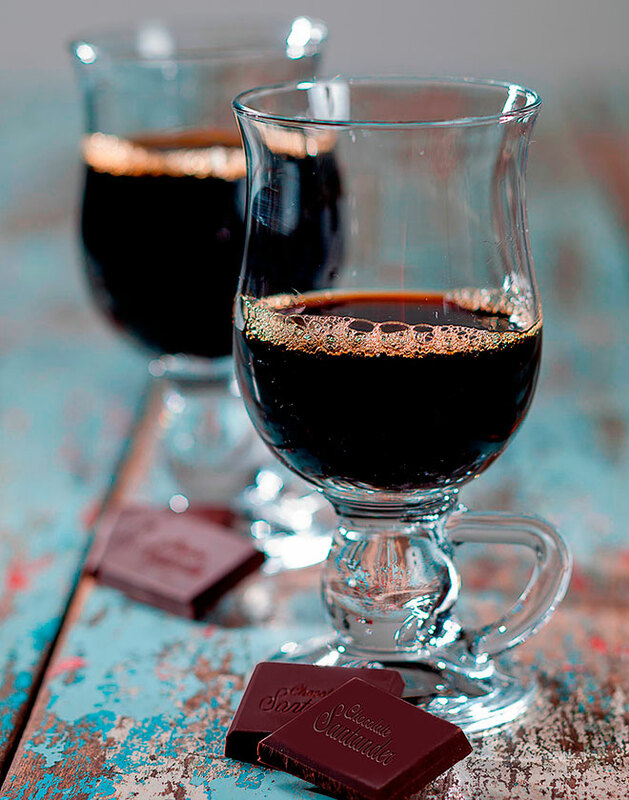 Combining espresso with a splash of Grappa in Caffè corretto will be even more amazing when enjoyed with 70% Chocolate Santander. Maximum intensity. Irish creme’s base of milk and whiskey make it a very special beverage, which creates one of the most delicious sensations on your palate when enjoyed with 70% Chocolate Santander Colombian Coffee. It’s a combination not to be missed!